The time fluxes are getting a bit out of control, slipping a bit out of Nozdormu’s bronze claws, but to be honest, I can deal with a little time paradox. Betrayer… In truth, it was I who was betrayed. Still, I am hunted. Still, I am hated. Now, my blind eyes see what others cannot. And sometimes the hand of fate must be forced! 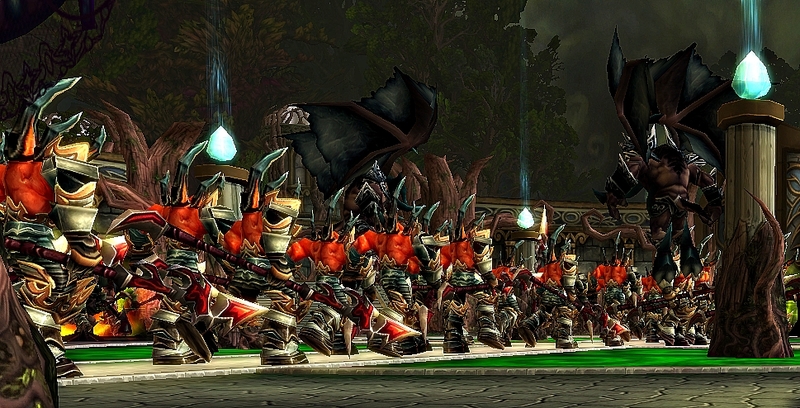 Now go forth… unleash the tides of Doom… Upon all those… Who would oppose us. Illidan is one of the best dark heroes in the Warcraft universe, blending desire, ambition, rage, and hope into one package. While both Arthas and Illidan face the choice of humanity and power, Illidan ultimately chooses for love: of Tyrande, the forest, his people. 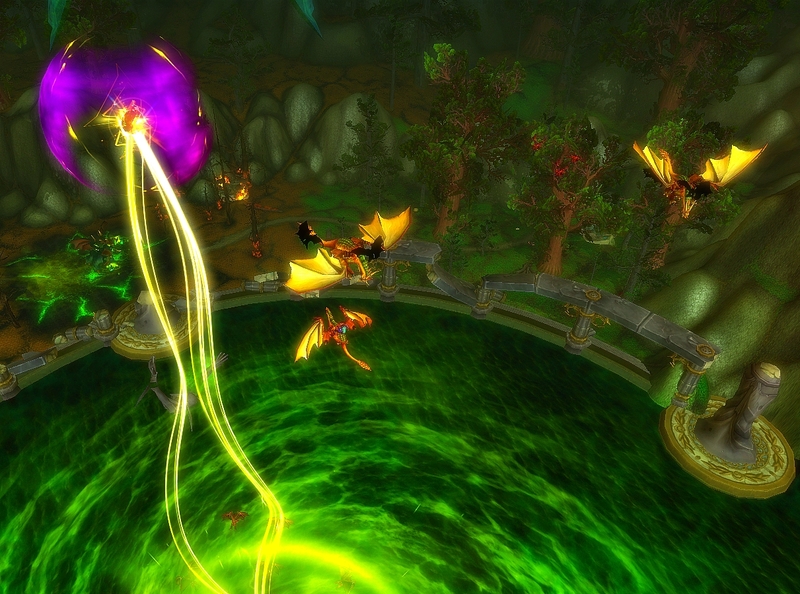 I enjoyed this dungeon primarily for Illidan’s story: not purely the demon-hunter, nor the demon. I also enjoyed seeing Tyrande out and about, reunited with her bow. While I’ve heard titters that Tyrande doesn’t really look like a priest, to that I say piffle. I would have loved to see her on her frostsaber, but I understand that trying to handle her cast animations astride a giant kitty might have been difficult. This entry was posted in Screenshots & Videos and tagged burning legion, dragon aspects, illidan, mannoroth, tyrande, well of eternity. Bookmark the permalink. ← Elitism: You’ve put in the hours… Expectations and You. Ok this all is making my want to activate main account and get Draccus geared up to go run these 5mans. If for nothing else the amazing Lore being told and witnessed. 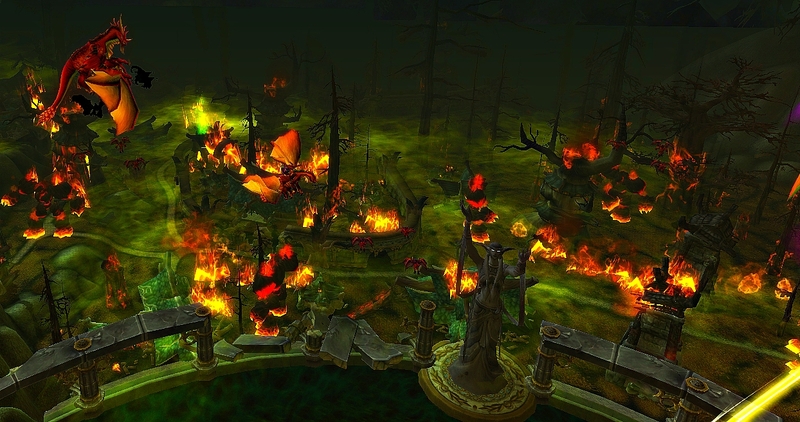 Caverns of Time is a brillant design on Blizzard’s part to enable the player base to swimming through the sand of time to see and battle in momentousness event of Azeroth’s history. Thanks for the great screenshots. 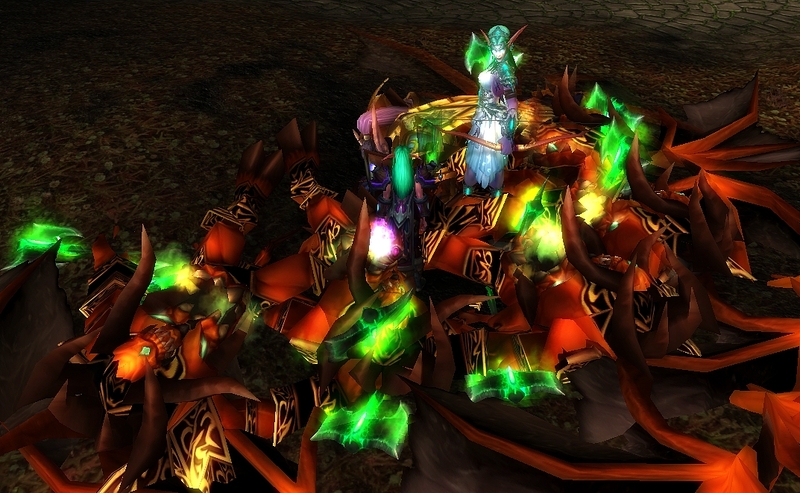 Any good new shiny items you were able to pick up, or still waiting to run through it as a Heroic instance? This is my favourite 5 man by a VERY long way, visuals aside. The last fight is the way I’d like to see more instances go in future, to be honest. Brilliant shots. Especially the first one, it really conveys the ‘force’ that the legion has (or had?) behind it! THIS IS SO MY FAVORITE 5-MAN EVER! I loved it!! Shadow Form or whatever Illidian casts is so awesome too!! !